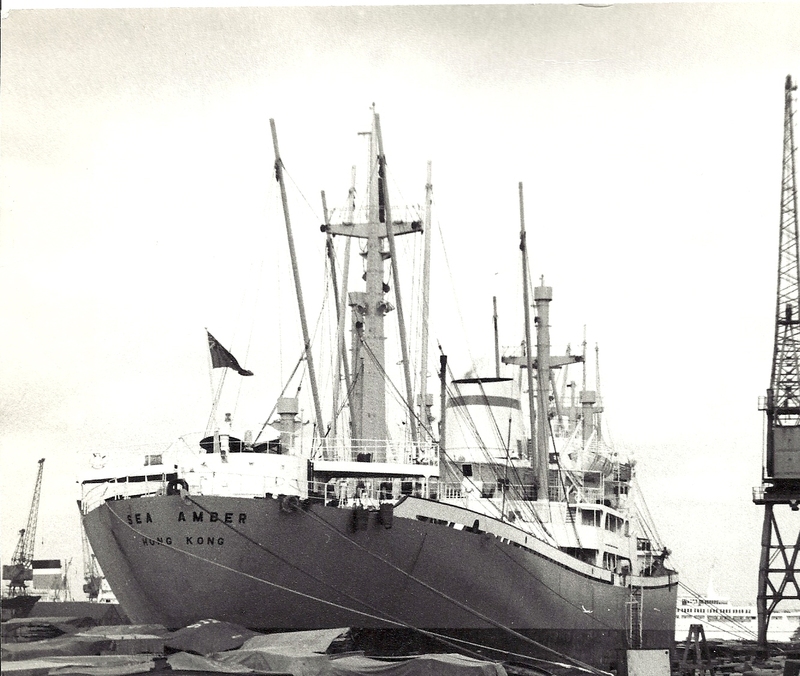 The motor vessel SEA AMBER was completed at Flushing, Netherlands, in 1964, for Chung Shek Enterprises Co Ltd, of Hong Kong, and flew the Hong Kong (British) flag. She was 10,421 tons gross, 15,380 deadweight, and was managed by another Hong Kong outfit, Jebmei Shipping Management Co Ltd. Many Hong Kong shipping firms had very close links with the People’s Republic of China and to its then largest shipping entity China Ocean Shipping Co (COSCO). In fact, in 1972 SEA AMBER was sold to COSCO and renamed DONG MING under the Chinese flag. There followed some further changes of owner in China, and in 2010 it was thought that the vessel was probably scrapped before 1999. When SEA AMBER was in Tilbury it was on charter to COSCO, which had been its main charterer for four years and this arrangement continued until 1972. This was apparently a one-off visit for the vessel, which, after leaving Tilbury started loading in European ports and left Antwerp on 31 May for Shanghai.